The injector power stage HPI 5-M 4C is a device for driving injectors and high pressure pumps for gasoline direct injection. Combined with a suitable ECU up to 4 injectors can be driven. Overlapping injection of injectors is possible. 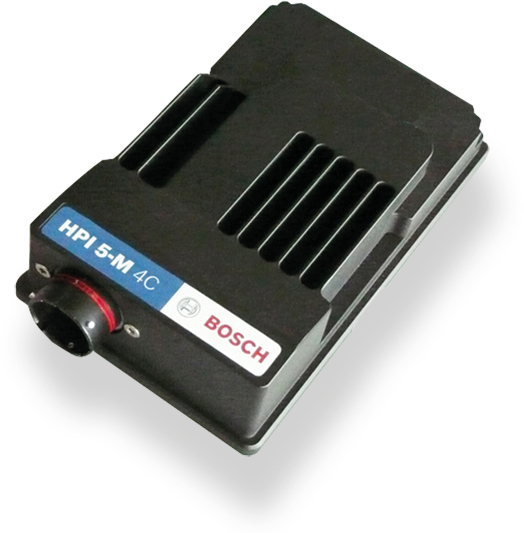 The HPI 5-M is mainly designed to drive the Bosch high pressure pump HDP 5. Communication between main ECU and the HPI 5-M is realized via CAN interface.